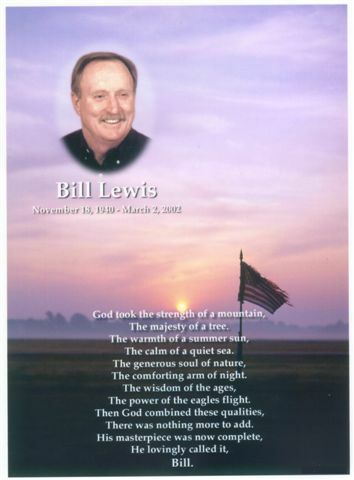 Bill Lewis started Lewis Sign Builders, Inc. with wife Ann Lewis in June of 1977 in his garage. He slowly built his dream of owning and operating his own sign manufacturing plant and installation firm into a reality. Bill built Lewis Sign up to where we are today. We are maintaining the level of integrity today that he had in mind 33 years ago. Bill Lewis passed away on March 2, 2002. We miss him daily and hope that we are making him proud. We believe that if he were here today he would indeed be proud of the quality, honesty and integrity that each employee of Lewis Sign Builders, Inc. brings with them to work on a daily basis.